For many of us, when we send a text or make a call from our cell phones, we're relying on 4G. Though for as much as we rely on it, very few of us know what it actually means. In reality, the "G" in these terms only stands for generation: generation of wireless mobile telecommunications technology. 2G brought us voice communication, 3G gave us access to the web and some video services, and 4G made things like the app economy possible. But with the applications of our wireless technology expanding at such a rapid rate—from smartphones and tablets, to full Internet of Things (IoT) implementation—even 4G is no longer going to cut it. "5G moves us to a truly connected society with very high data rates, low latency, and massively interconnected devices," says Engineering and Public Policy Department Head Doug Sicker. "This jump in connectedness comes at a high network cost, so a great deal of thought is being put into increasing capacity while minimizing cost." 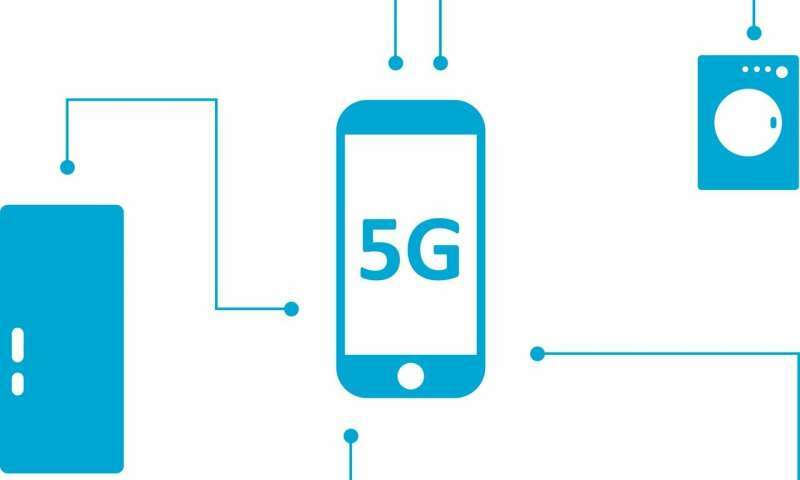 While the rest of the world is lauding 5G as the next big thing, Sicker and his collaborators Kazi Mohammed Saidul Huq of the Instituto de Telecomunicações in Portugal and EPP CMU graduate student Rohit Singh are already looking beyond 5G. Their work aims to not only take 5G networks into even more advanced terahertz speeds but also to lay the groundwork for future generation networks. "Portugal has invested substantially over the last decade to advance their science and technology production," says Sicker, "and next-generation communications is a part of this, along with a push on AI and biotech. Our work looks to provide massive amounts of new spectrum for IoT type services, particularly with bandwidth-intense demands." Specifically, Sicker's work in Portugal is focused on the growth of IoT networks for indoor use. Current 3G and 4G technologies are designed to penetrate walls and vehicles, which can be useful for reaching phones inside buildings and cars. However, the 3G/4G spectrum can only support a limited number of users at high data rates. But 5G networks running at THz speeds can support a much higher number of users at much higher data rates. Unlike earlier networks, however, these ultra-fast frequencies aren't designed to penetrate walls. When a signal is unable to move through walls, it becomes trapped within a limited area. While this may sound like a disadvantage, containing the signal in a small space like a building or even a room can help multiple users and devices reuse the same spectrum. Furthermore, this containment can help keep harmful interference to a minimum, allowing the same frequency to be used from one house to the next without getting in each other's way. So, while 4G may work just fine for your cell phone and streaming services, a 5G Advanced opens up a whole new world of possibility for connected indoor devices: smart thermostats and refrigerators, security systems, even integrated sensors to monitor building health. Although the THz frequency band opens up a plethora of bandwidth, which can be used to cater to densely data savvy devices, it also opens up new realms of technical and policy related challenges. The aim of this project is to further the cause for higher data rates by overcoming the inherent challenges that come along with the THz band. The project is just one of many borne of Carnegie Mellon University's partnership with the Instituto de Telecomunicações in Aveiro, Portugal. Launched in 2006, this program aims to place Portugal at the forefront of research and technological development in information and communication technologies. "We are excited about this initial work," Sicker says, "and we hope to go after much bigger projects with our colleagues in Portugal in the future." 5G: What is it? What does it mean for your smartphone? Verizon will be the first to offer 5G on the S10 in a month or 2. If it cant penetrate walls, I wonder how it's going to work or what good it will be.